At Infinite MedSpas, we offer cellulite reduction treatments for patients who want to reduce the appearance of cellulite. We offer CoolSculpting® and Tripollar® as treatment options. 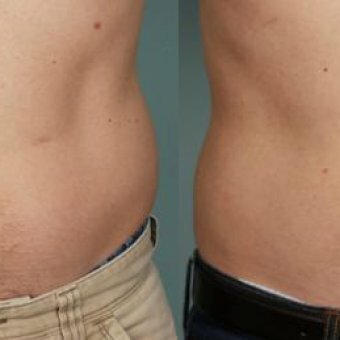 FDA approved CoolSculpting is a non-invasive way to reduce fat using a type of cooling technology known as Cryoliplysis. What CoolSculpting does is cool fat cells which causes the fat cells to die. Over a period of two to four months after the treatment, the fat cells will crystallize, break down, and be naturally eliminated from the body. A TriPollar treatment painlessly delivers a series of electrodes to the treatment area, causing immediate visible results. Heating the fat cells causes the metabolism to accelerate and the fat cells to shrink. The rise in temperature causes the fat cells to secrete fatty acids which are naturally disposed of by the body. What this means is that the fat cells are reduced in size causing the appearance of cellulite to be minimized. Neither treatment requires anesthesia, so you can return to your schedule once your appointment is finished. If you are interested in booking either cellulite reduction treatment, please give us a call to schedule your appointment. We look forward to hearing from you and helping you to feel like a new person. Infinite Med Spas offer the CoolSculpting® body treatment. CoolSculpting is a non-invasive way to reduce fat using a type of cooling technology known as Cryolipolysis. CoolSculpting received FDA clearance in 2010 and is the only non-invasive fat reduction method to receive a US patent and FDA approval. What CoolSculpting does, is cool fat cells which causes the fat cells to die. Over a period of two to four months after the treatment, the fat cells will crystallize, break down, and be naturally eliminated from the body. The CoolSculpting treatment itself will take 1-3 hours of your time. The procedure uses a non-invasive applicator to carefully and methodically deliver the cooling to a chosen area. There is no anesthesia required, and patients are free to get back to their schedules right after the treatment. Since the treatment is non-invasive, there is no blood vessel, nerve, or skin tissue damage. CoolSculpting is especially great for patients who are having issues losing that last few inches of stubborn fat. If you are interested in booking a CoolSculpting treatment, please give us a call to schedule your appointment. The results are quite incredible and you will be absolutely thrilled by them.